Cooler for Intel LGA 2066, 2011-3, 2011, 1366, 1156, 1155, 1151, 1150, 775 CPUs and for AMD Socket TR4, AM4, AM3+, AM3, AM2+, AM2, FM2+, FM2, FM1 processors. We used the SpeedFan V4.51 Tool for the temperature measurements. The program Prime 95 used about 100% of the processor capacity. The CPU peak temperature was always measured, i.e. 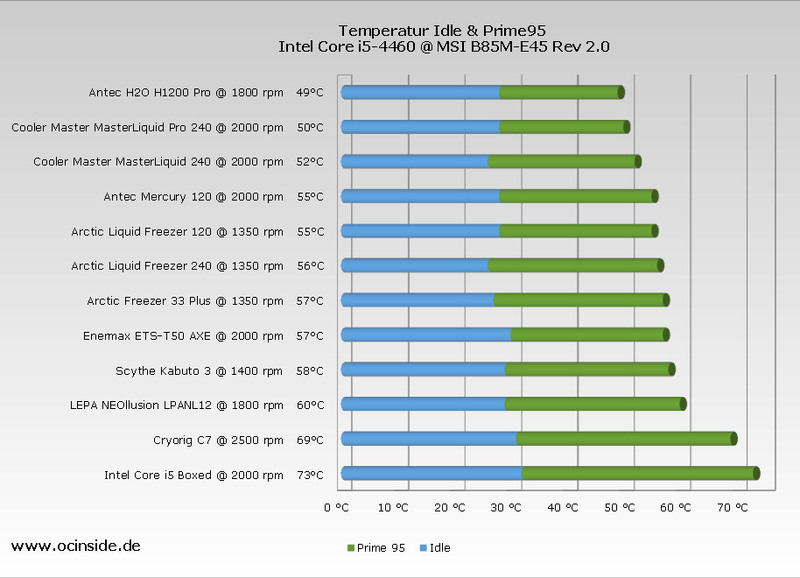 the highest temperature the processor reached in the test with the small-FFTs test of Prime95. The coolers listed below were tested on the same system, so their results are comparable with each other. 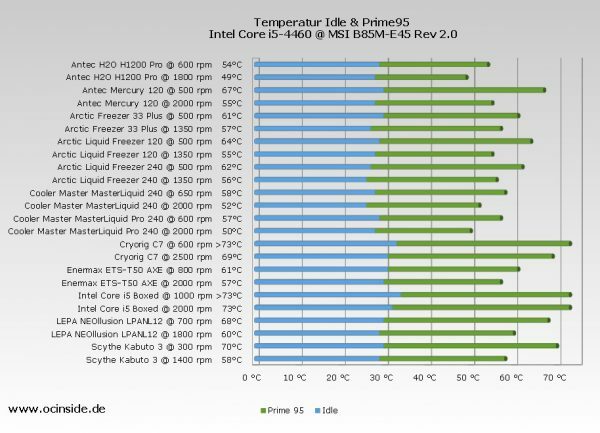 However, the results are not comparable with the test results from the first part of the CPU cooler comparison 2018, as they were tested with an AMD AM4 PC and not with the Intel Core i5 system. The ambient temperature was about 20°C during the measurements. The coolers were tested with different fan speeds. The Boxed Intel Core i5 cooler, Arctic Freezer 33 Plus, Cryorig C7, Enermax ETS-T50 AXE, LEPA NEOllusion LPANL12 and Scythe Kabuto 3 are conventional air coolers. The Antec H2O H1200 Pro, Antec Mercury 120, Arctic Liquid Freezer 120, Arctic Liquid Freezer 240, Cooler Master MasterLiquid 240, Cooler Master MasterLiquid Pro 240 and the LEPA NEOllusion LPANL12 are pre-filled All-In-One water coolers – short AIO coolers – with integrated water pump and radiator. 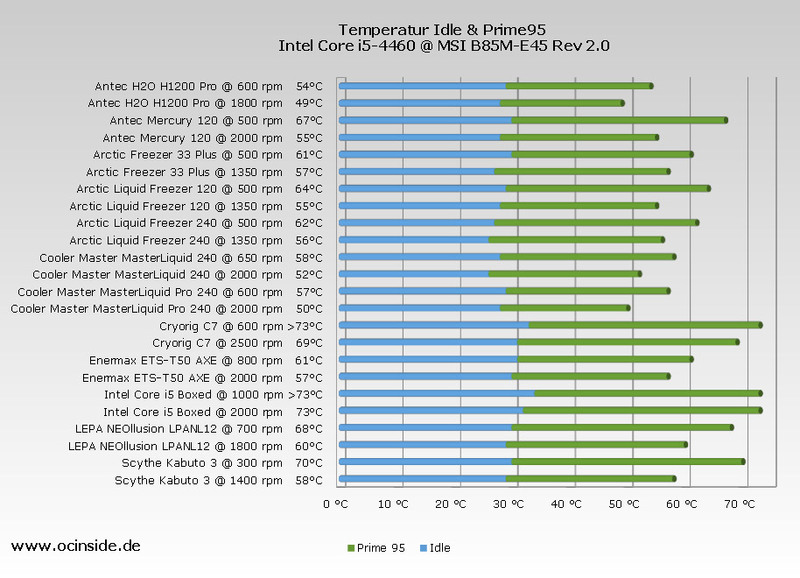 In the following chart, all tested combinations are listed and each divided into two measurement results: Idle (blue) and Prime95 with approx. 100% CPU load (green). The different distribution of the cooling results, such as the very high idle temperature of the boxed cooler, but also the large difference at Prime95 load with full fan speed compared to the lower fan speed, is very nice to see. 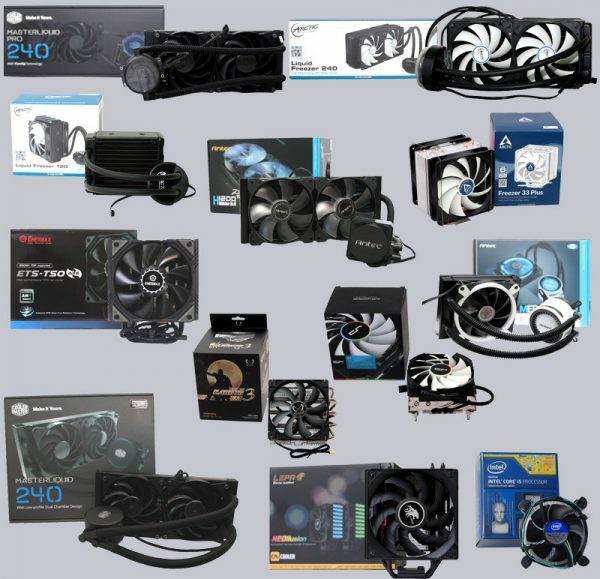 With a click on the respective cooler you get to the selected cooler review with a summary of the overall impression, assembly, price and if applicable a CPU cooler audio sample. The CPU cooler test reports are several pages long and can be found in the hardware reviews area under cooler reviews. 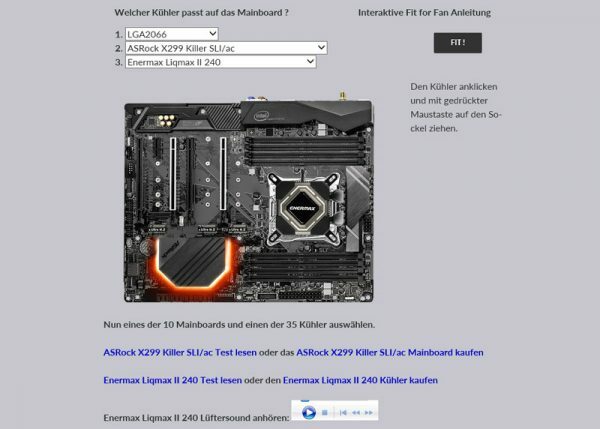 In addition, OCinside.de has the well-known interactive Fit for Fan guide with direct cooler listening sample to determine which CPU cooler fits on which motherboard and how much space is available for the remaining components such as RAM and graphics card after assembly. Tip: In the interactive Fit for Fan tutorial you can try on the CPU coolers virtually on the mainboard, missing coolers will be included in the next update. Click here for the extensive CPU cooler comparison 2018 with selected coolers that we have tested on the AMD AM4 system. 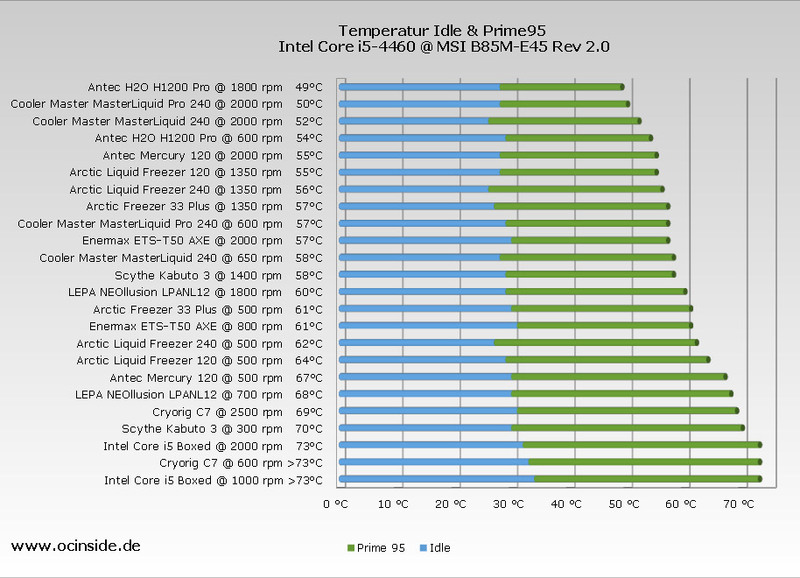 For a comparison with other coolers, take a look at our CPU cooler chart 2016 on the Intel Core i5 PC. 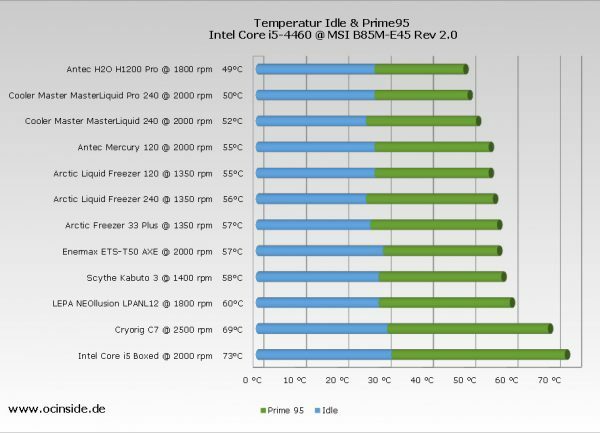 Here is our CPU cooler comparison 2016, tested on an Intel Core i7 PC system. 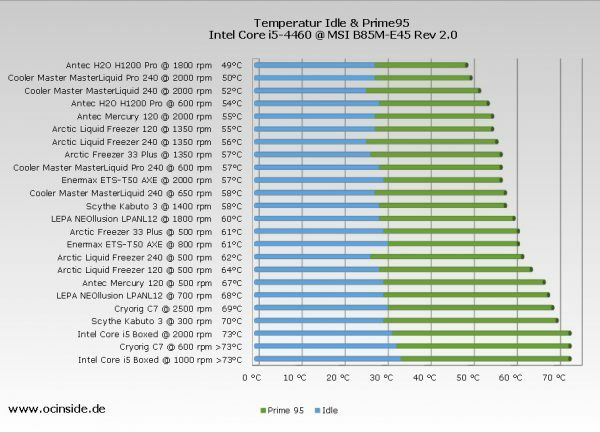 And here is again our CPU cooler chart with CPU coolers before 2016. A direct comparison to our previously tested coolers is however not possible here, since the test system has changed fundamentally in the meantime. 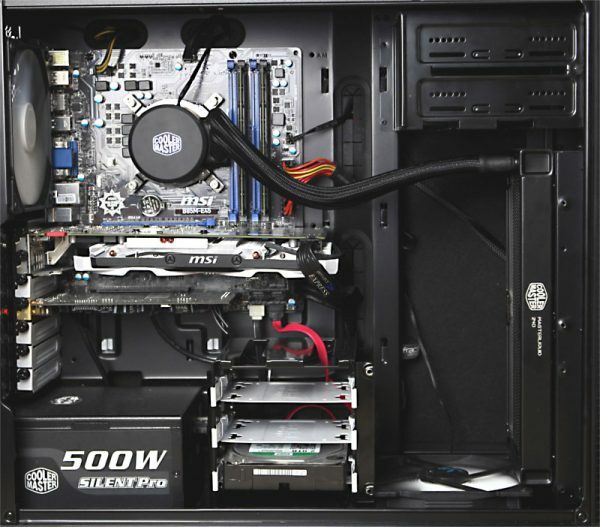 Here you can order CPU Cooler at a reasonable price.